The Blizzard Black Pearl 88 is the women’s ski that has it all, from colourful good looks to performance driven versatility. Offering a tried and true women’s-specific design, it’s the ideal ski for adventurous intermediate females looking to start pushing it in the powder, but will happily allow you to razz around the pistes all the same. The perfect ski for your first season, the Black Pearl 88 showcases some of Blizzard’s best proprietary technology and as a result, will see you through lots of stages of progression without losing any fun points. Sitting bang in the centre of the Black Pearl range, an 88mm waist offers the perfect middle ground for tearing it up on the piste and taking on everything the lift-accessed side of the mountain has to offer. Combining a rocker-camber-rocker profile and a medium radius, here’s a ski that’ll feel light and nimble underfoot and lends itself to the full range of turn shapes. 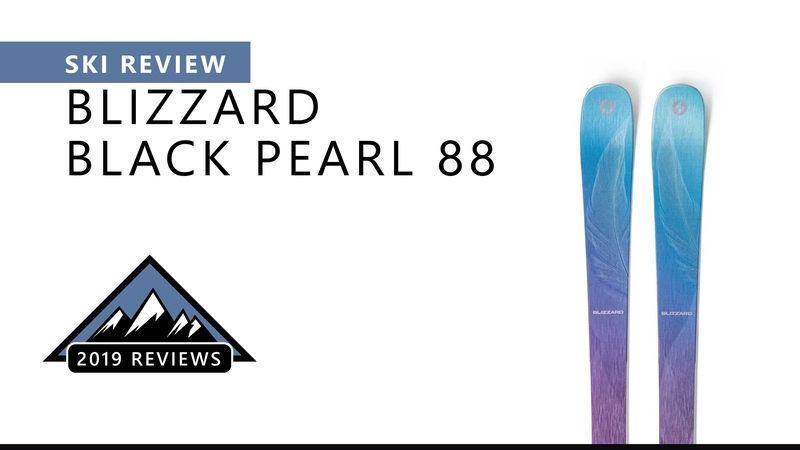 Internally, the Black Pearl 88 features Blizzard’s Carbon Flipcore Construction, which boasts some of the best torsional rigidity on the market, as well as a more natural-feeling flex and springy, confidence inducing stiffness. A lightweight wood core and ultra-durable finish cap things off, resulting in a ski that allows you to push yourself across everything the mountain has to offer. Whether you’re doing your first powder turns, learning to ski trees, hitting your first jumps or carving on steeps, the Black Pearl 88 will have your back from start to finish. And above all, its smooth and stable yet lightweight feel means it’s a ski that’s fun to ride, but won’t back down when the going gets tough. If you want one ski that does it all, you won’t find a better option than the Black Pearl 88.